Two swords at its ultimate form of evolution… During the reincarnation of the Soulcalibur and Soul Edge, something else has awakened… The battle between the two swords comes to the final phase, with the resurrection of whom created those swords. Nightmare, in its ultimate form awaits at for Siegfried for the final battle. What lies ahead of the characters twisted by its destiny? 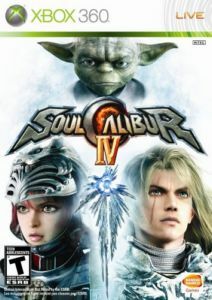 Moreover, Sith Lord Darth Vader and Jedi master Yoda appear respectively on the PlayStation 3 and Xbox 360 to engage the fight for the Soul Swords.